' easier to think that others also see us this way '. No matter what ' this way is' I dare to add. We cannot always ask how others see us, but our own assumptions can hold us back indeed. Yes! This is a lesson that I seem to need to re-learn every couple of months because I slip back into judging myself, negative self-talk, etc. Hell, I'm sure you've seen how many times I've apologized for my feelings on my blog or hesitated to write something out because I fear the reception (which has always been completely unfounded). Completely true in all aspects of life. 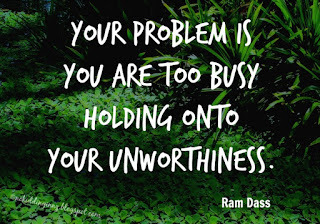 Too often I fall back into the pattern of feeling unworthy. Yet I need to remember that others usually fall in line with how I see myself. Parenting/having all the money in the world/being extremely smart/fill-in-the-blank doesn't equal worthiness. Worthiness starts from within. Thanks for the beautiful reminder. Fully agree. When I struggle with my inner self-worth, I tend to become defensive or reactive or both. 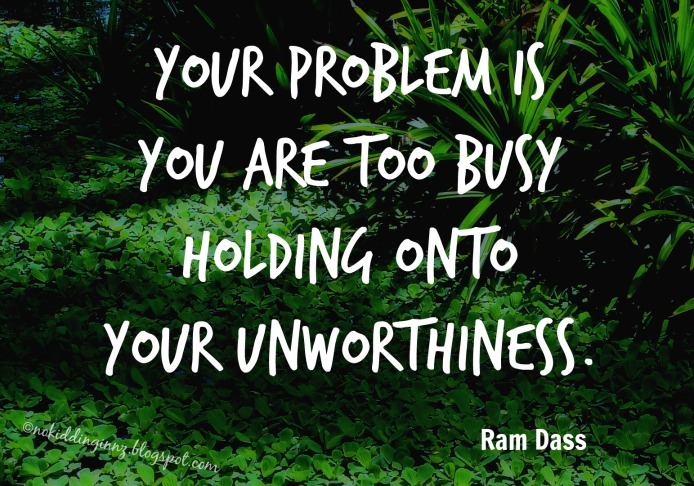 I love this, and that unworthiness spans all situations. I feel like this should be a required quote wherever people are building their self-esteem.